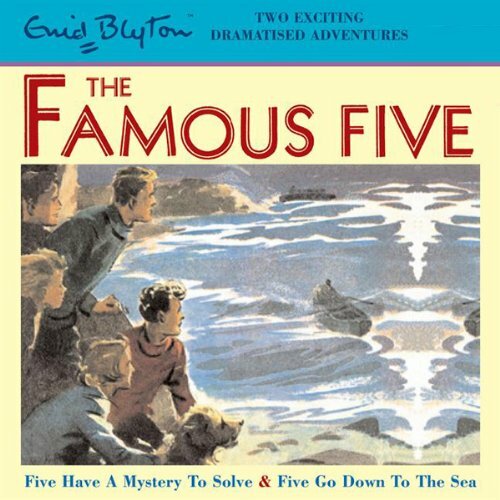 The Famous Five visit Whispering Island, another mysterious place with a million stories surrounding it. Is it really haunted? It's all fun and games until the Five get stranded there and realise they're not the only ones on the island. Somebody is flashing lights from the top of the old tower on the treacherous rocks off the Cornish coast. The Famous Five sense danger. But can they solve this mystery without getting hurt themselves. The famous five are off again!!!! It's a brilliant book and it helps me sleep. Two birds one stone I say!! takes you back making you want to join a group of friends and make adventures.